Road races, galas and birding; spring is here. 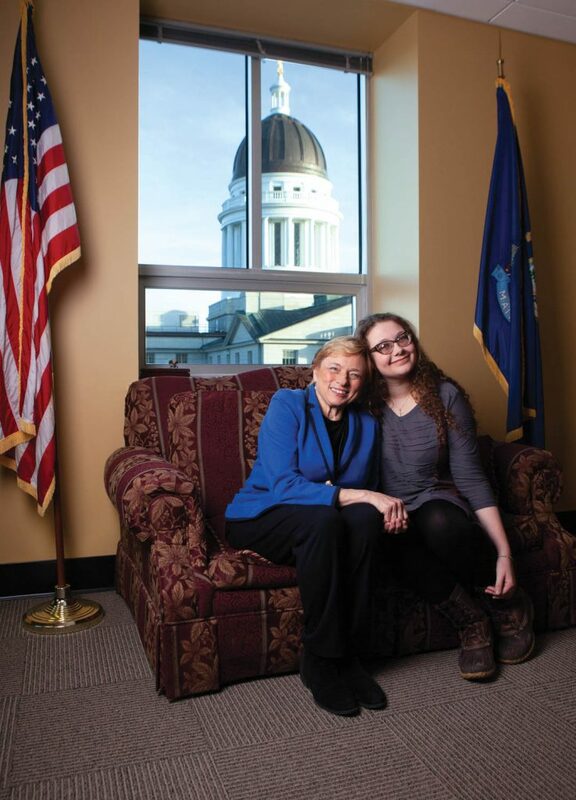 The new governor’s 16-year-old niece on sleepovers, “Star Wars” and spontaneity with her role model. 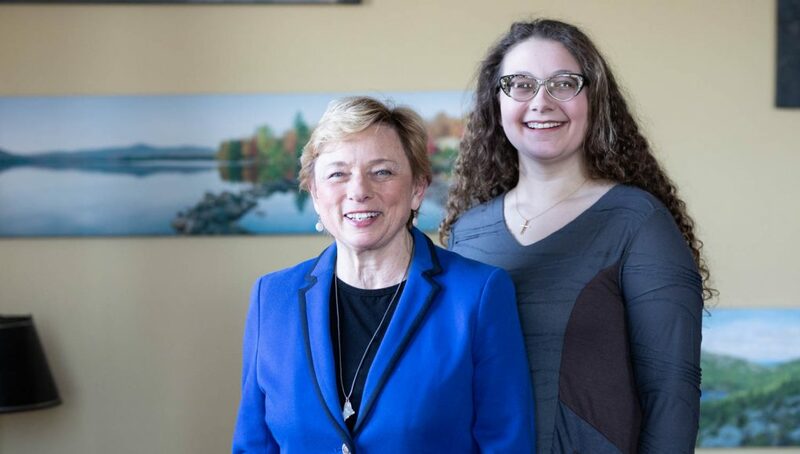 Janet Mills isn’t just the governor of the State of Maine. She is my aunt, my mother’s sister, the one who was there on the day I was born. Governor Mills is the person who lovingly gave me the nickname “Kid” and in whose large footsteps I have always eagerly followed. Some people think of Janet as a steely prosecutor-type who stands up to bullies. This is true. But she is also the warm, funny aunt who always has a piece of poetry to recite, a song to sing and a story to tell. Her sense of adventure always surprises me no matter how many times I’ve been party to it, and I’ve always looked up to her for her “can do” attitude. One of the long standing jokes in my family is that you “never get in the car with Janet without a long book.” What starts out as a 45-minute trip home can easily turn into four or five hours to visit people in Maine towns you never knew existed. Experiences of this type range from the mundane on Maine backroads—“I wonder where that leads,” she says, then turns the wheel to find out—to the extraordinary. On a trip to Israel together, just the two of us, she said to me, “How far do you think we can swim across the Dead Sea?” Together we went halfway across and she showed me how to float while looking like a starfish and laughed with me when I got stuck in the muck. Sometimes the adventure is right at home. About five years ago, on a snowy night during winter vacation, my mom and I were up late in Janet’s kitchen with her, watching “The Sound of Music.” It was one of my late grandmother’s favorite movies. In our PJs, we drank mint tea and competed to see who could quote the most lines from the movie. When it ended Janet decided that a nice midnight walk through Farmington was a good idea. I disagreed. It was snowing. It was freezing. It was late. “Auntie, it’s too cold!” I told her. But Janet can be very persuasive. We got all bundled up in our winter gear and headed out into the wintry darkness. It was insanely quiet. The only sounds we could hear were the shuffling of our feet over several inches of snow and the occasional whisper of wind through the trees. We made it to the massive snowbank where all the snow from the town’s main streets ends up. It stood larger than the garage it was up against. I raced up it with my mom calling “Be careful!” Meanwhile, Janet, trained well by my uncles, was making and chucking perfectly shaped snowballs up at me, laughing as I attempted to dodge them. I smiled so hard my face hurt. 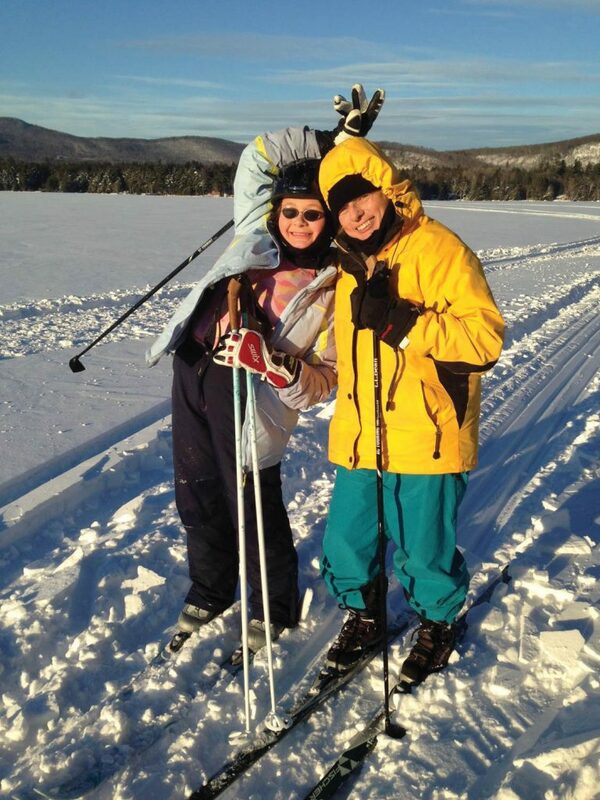 Even with a busy schedule, she makes time for spontaneous activities. She’s the aunt who has often joined in on my sleepovers with friends, to dance with us and, more recently, to give us advice. Once she even stayed up late with me and my best friend to share her stories of toxic relationships in order to warn us of difficult experiences ahead as young women. She always has time for family, exhibited many times over the years, and that’s one her traits I admire greatly. It’s a side of her many do not see. Many people assume that my aunt, as a lawyer and a grandmother, must be out of touch with pop culture. They haven’t seen her at a ”Star Wars” premiere. This is my favorite movie series so my mom has gotten us tickets to the opening night shows of three out of the four most recent “Star Wars” films. Janet has been to each of them with me. (Thank you again, Auntie, for telling me that seeing “Solo” in the middle of final exams was a bad idea.) 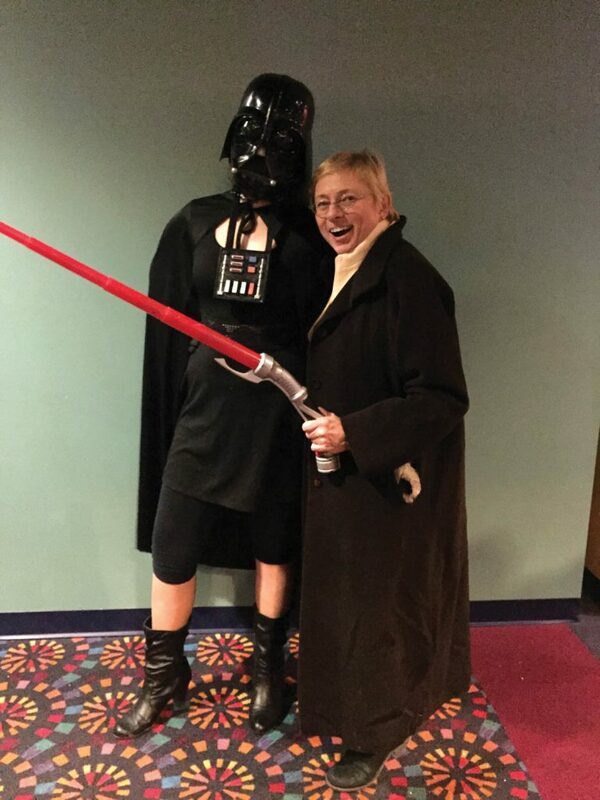 We line up outside the theater, then I’ll rush in, usually in full costume, while Janet follows, twirling the lightsaber I’ve made her hold while I get our seats. Many people assume that my aunt, as a lawyer and a grandmother, must be out of touch with pop culture. They haven’t seen her at a “Star Wars” premiere. From graciousness to spontaneity, I’ve learned a lot from Janet. She’s taught me how to barter in the streets of Jerusalem. Walking on the wide clam flats in the summers, she’s the friend I pass snippets of poetry back and forth with while we name the birds on the shore. Along with the lighter lessons have come serious ones, including about being a woman in a male-dominated career. She’s talked to me about cases that she’s never forgotten, like that of a brave woman named Emma Waters who came forward about her abusive husband, and was then murdered by him when he got out on bail. It taught my aunt about the importance of a gut instinct; she was the one who indicted the husband and she feared the exact outcome that happened. She still gets teary-eyed talking about it. But I think the most important lesson she’s taught me is how to truly be yourself. I’ve never once seen her doubt her own abilities or question her worth. She’s driven by a sense of right and wrong and all of the gray that can be seen in between. Her boldness in always standing up for what she believes in is what I believe to be one of the reasons behind her success. I tell myself, be confident, be caring, be like Aunt Janet. She’s my role model; someone who demonstrates unbound loyalty and whom I will cheer on from behind as she inspires me. 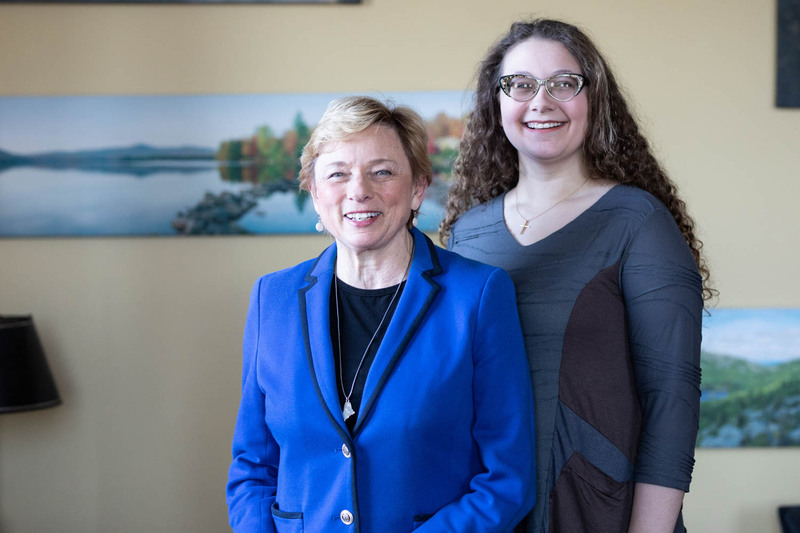 Janet is not just a lawyer, or a politician or Maine’s first woman governor. 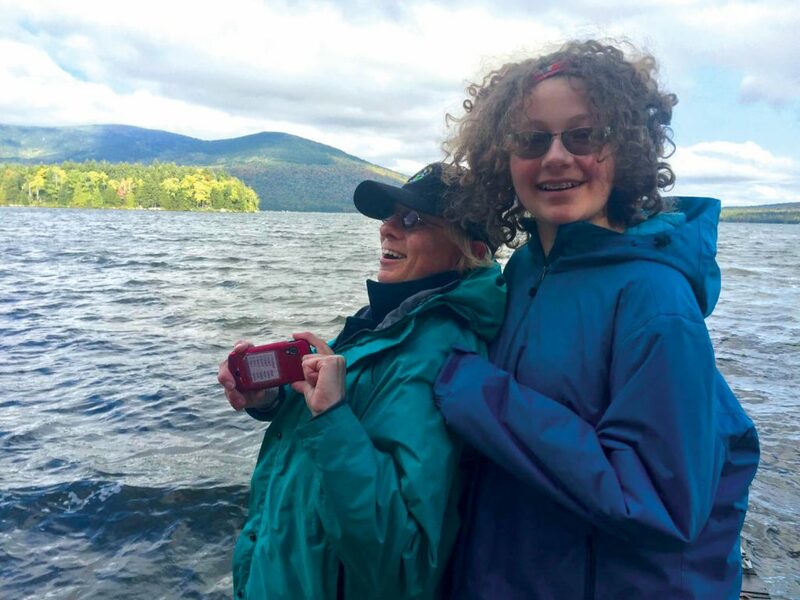 She is a fisherwoman, an amazing transformer of leftovers into “kitchen sink” soup for the soul and the most patient driver instructor a teenager could ask for. She’s my hero, my “What Would ___ Do?” person of my life. I hope that these are sides others will be able to recognize in her as I have all these years. I can’t wait to see what she does as Maine’s new leader. I have a feeling other young women will also be thinking of her as their “What Would ___ Do?” person. Julia Mills Fiori is a junior at Waynflete in Portland. She held the Bible as her aunt was sworn in as governor Jan. 2.